The Ranbir Kapoor - Rajkumar Hirani collaboration has done its wonders at the box office. The recently released biopic 'Sanju' directed by Rajkumar and starring Ranbir as Sanjay Dutt has been running strong at the box office by break many records and setting some new ones as well. Hirani who is popular for directing the Munna Bhai series is already working on the third instalment. But, this hit franchise will undergo a major cast change if recent reports are to be believed. 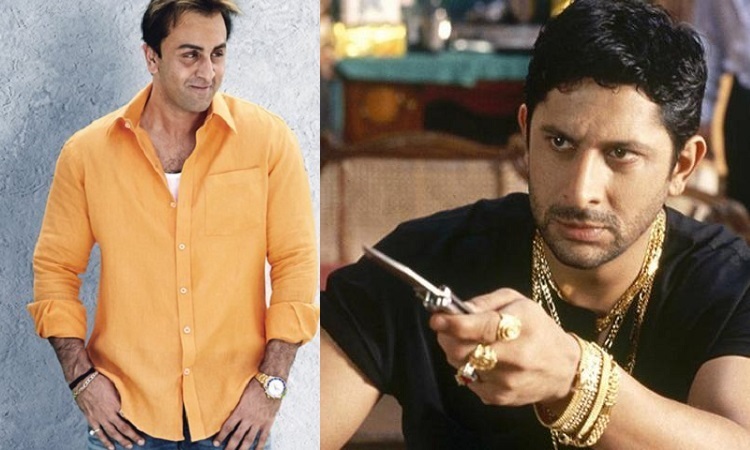 As per Filmfare, Ranbir Kapoor might replace Arshad as Circuit in Munna Bhai 3. Unbelievable right? But, a source had informed, "Seeing Ranbir's performance in Sanju everyone is impressed. The makers believe Ranbir and Sanjay will share great on-screen chemistry considering their rapport with each other". Is that a right decision to replace Arshad with Ranbir? What are your thoughts? Tell us in the comment section below. Meanwhile, an earlier report stated how Ranbir had expressed his desire to work with Hirani once again to which the filmmaker had promised him a huge 5 films deal. A report had revealed, "Ranbir told Raju that so far he's made two movies each with Sanjay Dutt and Aamir Khan and all of them became huge hits. So he wanted to know when the filmmaker would do his second film with him as the leading man, discounting his cameo in PK. He also asked how many movies Raju would make with him". To this Rajkumar Hirani smiled and replied, "I'll do five movies with you". Is Munna Bhai 3 is a part of this 5 movie deal? All we can do is wait for the final announcement from the makers.